I was thinking the other day about the true size of Phoenix, Arizona and its sprawling suburbs. I wondered what this would look like overlaid on Dublin. 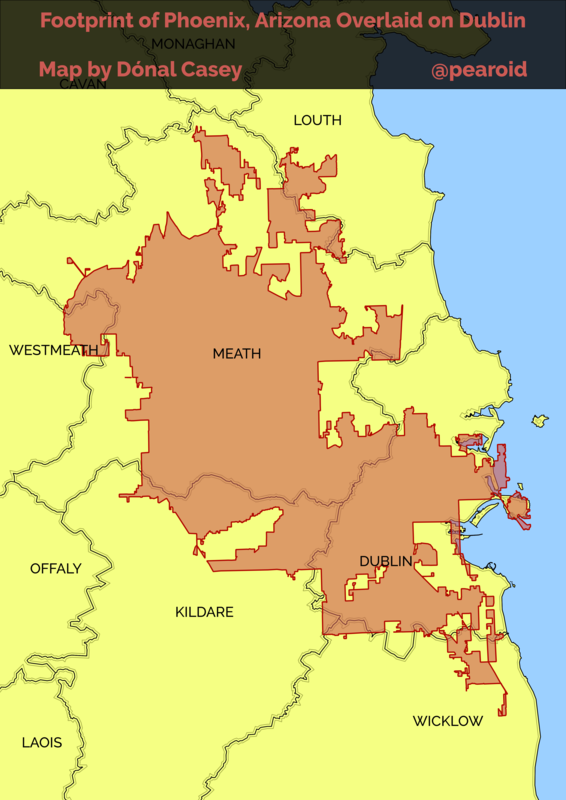 The coordinate systems are different but the below overlay gives a good indication of its size in comparison to Dublin. Posted on 27/04/2018 27/04/2018 by Dónal	This entry was posted in Sprawl. Bookmark the permalink.